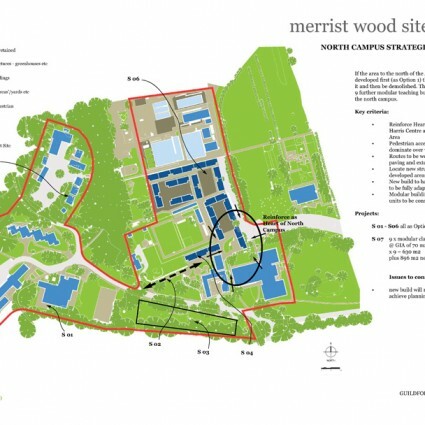 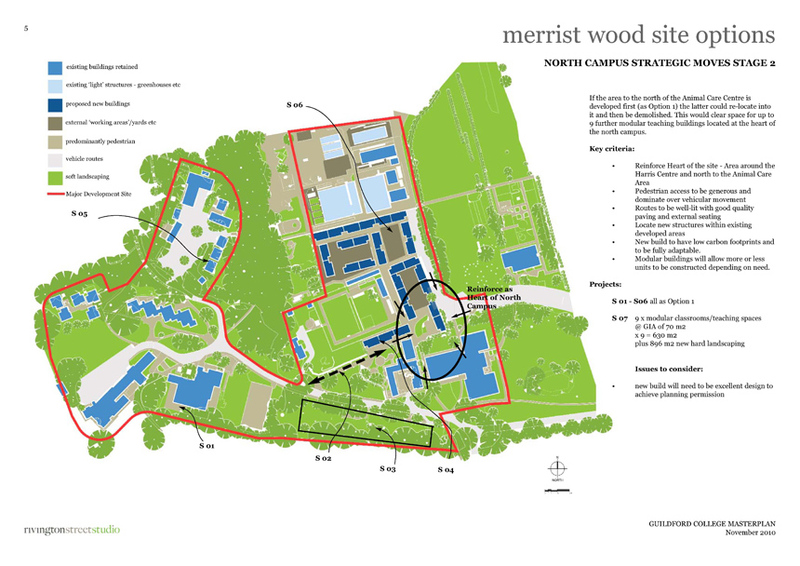 RSS has developed a strategic masterplan for each of Guildford College’s sites at Stoke Park, Merrist Wood and Farnham College. 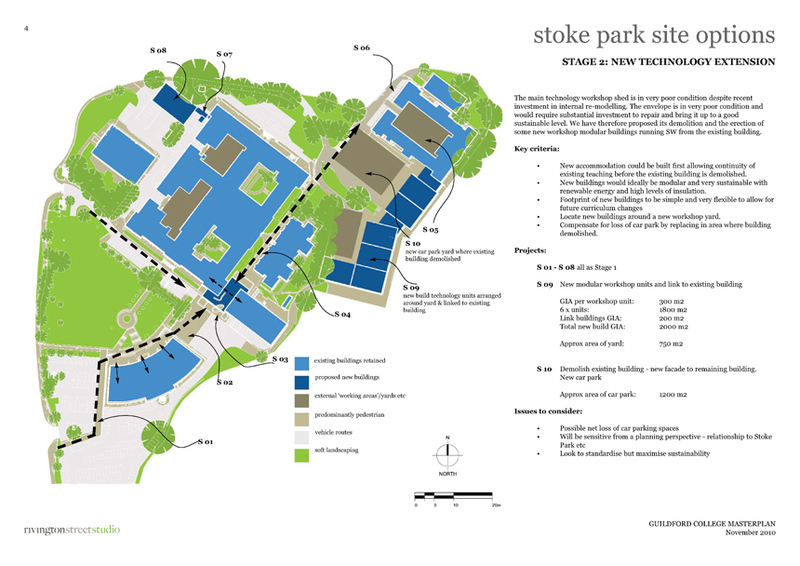 Each study provides a ‘loose-fit’ template for future development across a range of social learning, academic and vocational themes. 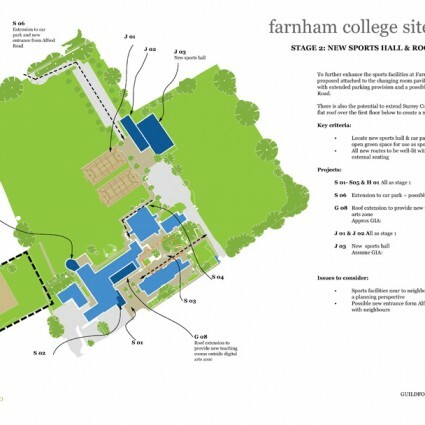 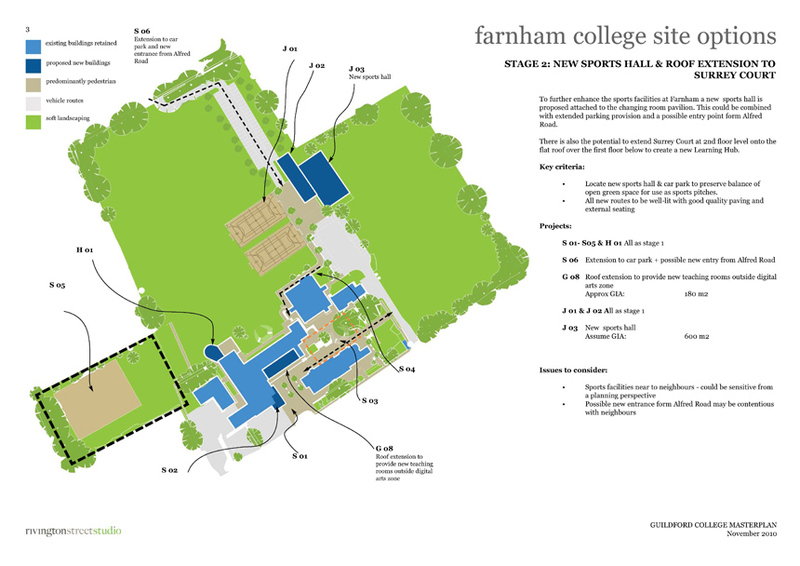 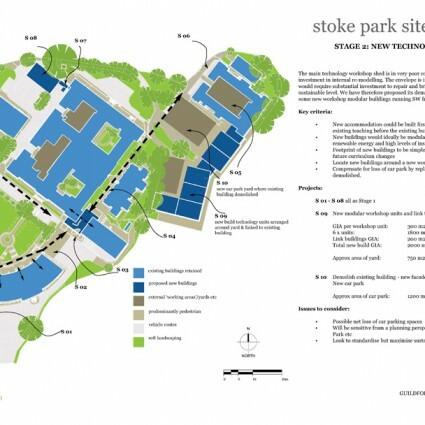 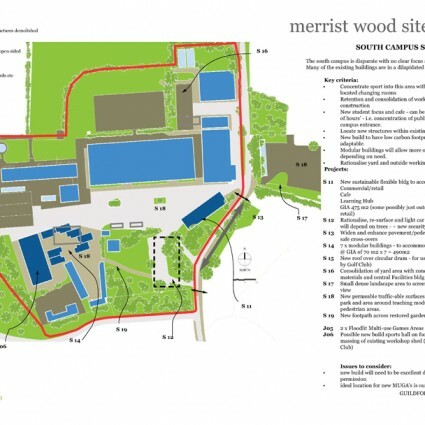 These studies incorporate specific projects including the new Construction and Technology Centre at Stoke Park, the Animal Care Centre at Merrist Wood and new sporting facilities at Farnham College. 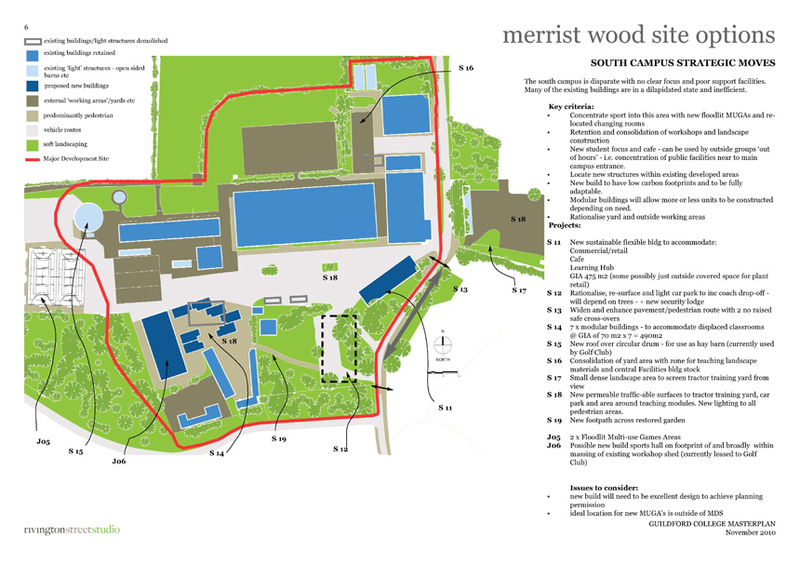 RSS completed the stage D design for the Construction and Technology Centre in Summer 2012, having secured SFA funding.